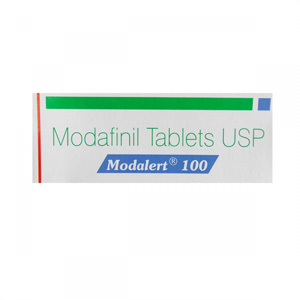 Modalert 100 mg is a prescription drug for patients with narcolepsy, increases concentration and eliminates drowsiness, and enhances the perception and ability of memory. Modafinil as a dietary supplement takes pride of place among nootropic drugs. Modafinil is a drug that relieves daytime sleepiness and is used to treat narcolepsy. It is possible to improve perception by stimulating neurotransmitters in the brain, used to improve mental abilities. In addition to narcolepsy, modafinil is also effectively used in attention deficit disorder, in the treatment of resistant depression and multiple sclerosis, and is used as an additional agent in the treatment with antidepressants. Because of its ability to significantly increase stamina and effects similar to those of amphetamine, as well as due to an increase in the number of athletes found to use Modalert 100 mg in international competitions, the World Anti-Doping Agency listed Modafinil as a drug prohibited for use in sports and recognized the drug Provigil. e. Modafinil doping agent. In this regard, Modafinil quickly began to gain popularity among drivers, programmers, amateur athletes, shift workers. The drug is also used in the treatment of fibromyalgia, chronic fatigue syndrome, myotonic dystrophy, spastic cerebral palsy and Parkinson’s disease. In recent years, Modafinil is often used as a highly effective means to reduce appetite and reduce weight. Studies have shown that when using Modalert 100, the total appetite level of subjects decreases by at least 38%, which in turn leads to rapid weight loss. Today, scientists are considering the use of Modafinil in the treatment of cocaine addiction, primary biliary cirrhosis and bipolar disorder. There are registered facts of inappropriate use and abuse of the drug Modafinil by students in the UK and France, club youth and employees of the entertainment industry, which led to fierce disputes regarding the security of Modafinil and its legal status, but except for the USA where Modalert 100 mg is a controlled substance and is on the list of drugs No. 4 Modafinil is not a drug in one of the countries of the world and is absolutely legal.